Google Docs is one of the best known services that can be found in the large offering of Google-made webapps. Not only that it enables you to create and share text documents, presentations and spreadsheets directly in your browser window, but it also provides full integration into google ecosystem that includes Gmail, Circles and more. Create online documents today! All the basic tools for editing content are present and presented to you in intuitive and logical interface, and behind the scenes powerful Google cloud infrastructure keep a close watch on the security of your data. Nothing will ever be lost, misplaced, or accessed by a unauthorized 3rd party. World’s most popular free cloud-based productivity suite! For many years, office productivity tools were created to be standalone offline clients for home computers, which as a form that is today still used but is also heavily augmented with the presence of cloud-hosted collaboration-based online services that offerusers many important advantages such as flawless online backup, instant collaboration, sharing and ability to access your files no matter where you are or what computing device you are using. Among all of those online services, Google’s own productivity suite is regarded as the best and most popular one, giving all users absolutely free access to professional tools that can be used not only for home or work, but also to provide businesses or large organization with all tools they need to keep their business flowing and workers able to collaborate instantly. Create online documents today! 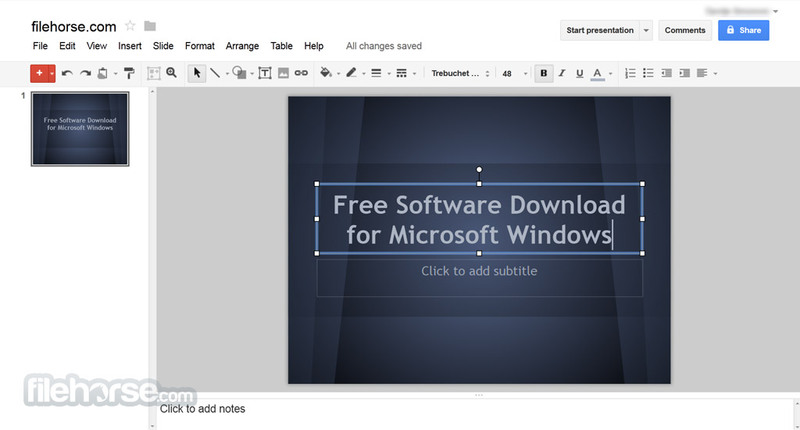 Google Docs is one of the most popular and widely used cloud-powered office productivity suites on the internet, enabling every user who has a Google account (which spans across all of the services of this internet giant, including Gmail, Google Drive, YouTube, Picasa and others) a completely free access to professional word, spreadsheet and presentation editors. 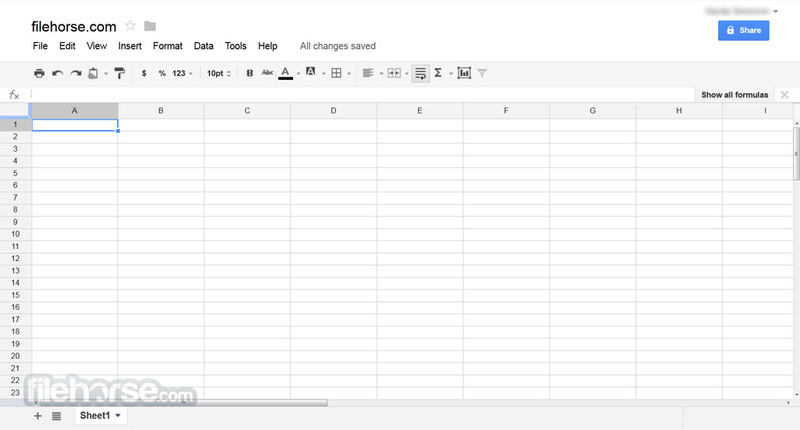 By managing to completely and seamlessly integrate abilities of Writely and Spreadsheets editors directly in the core of Google online platform, users can instantly upload, create, manage, share and download files on Google Drive service, with instant ability to fire up word or spreadsheet programs and edit those files on the fly. Additionally, the feature that made Google Docs famous was addition of collaboration. This enabled users to easily share their documents with family members, friends, school friends, work colleagues, freelancers or anyone else, enabling them to all work on one or more documents in real-time, seeing the progress unfolding before your eyes and being able to instantly spot mistakes or implement changes. Finally Google managed to make Google Docs perfectly synced across all devices, enabling real-time syncing that enable users to easily manage Google Drive-hosted files on any supported device they own directly from their web browser or standalone app for portable devices (iOS and Android). Create online documents today! After years on the market, Google Docs still continues to evolve to this day, enabling users to easily create word documents, spreadsheets, drawings, presentations and forms no matter where they are or how many team members they want to involve in creation effort. 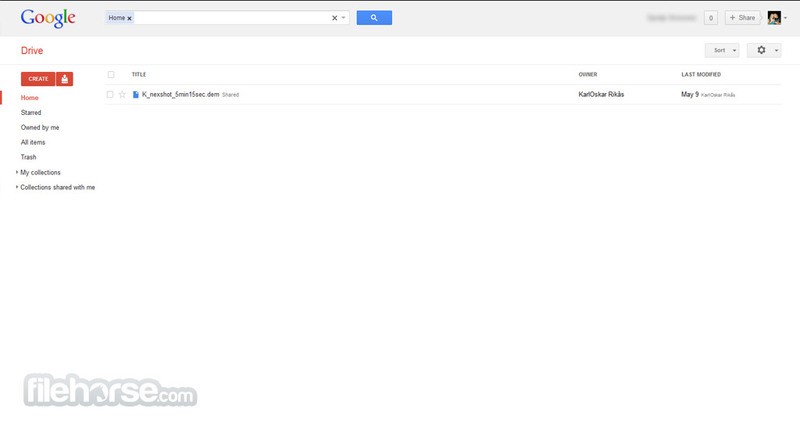 Google Docs previsously had its own file management system, but today that system is powered by Google Drive. After selecting any of the office files in Google Drive, specific editor of that file can easily be started, giving users easy way to create, edit, share and collaborate on their files with ease. All editors are very simple to use, aimed to be easily used even by complete novices. Google Docs can be used for free as a part of wide array of Google services. The only thing that you need for it is a Google account that can be created in few seconds if you already don’t have one from using YouTube, Gmail or other Google services. All users get 15 GB of free storage that is shared between Gmail, Picasa and Google Docs. Officially released in public in 2007 after several years of testing, today’s version of Google Docs represents one of the key services of Google online app ecosystem that is daily accessed by countless millions of users. You can easily do all the basics, including making bulleted lists, sorting by columns, adding tables, images, comments, formulas, changing fonts and more. And it's free. Google Docs accepts most popular file formats, including DOC, XLS, ODT, ODS, RTF, CSV, PPT, etc. So go ahead and upload your existing files. Just click the toolbar buttons to bold, underline, indent, change font or number format, change cell background color and so on. Just enter the email addresses of the people with whom you want to share a given document and send them an invitation. Anyone you've invited to either edit or view your document, spreadsheet or presentation can access it as soon as they sign in. Multiple people can view and make changes at the same time. There's an on-screen chat window for spreadsheets, and document revisions show you exactly who changed what, and when. Create online documents today! Viewing a presentation together is a breeze, as anyone joined in a presentation can automatically follow along with the presenter. There's nothing to download; you access your documents, spreadsheets and presentations from any computer with an Internet connection and a standard browser. And it's free. Online storage and auto-save mean you needn't fear local hard drive failures or power outages. You can save your documents and spreadsheets to your own computer in DOC, XLS, CSV, ODS, ODT, PDF, RTF and HTML formats. Easily find your documents by organizing them into folders. Drag and drop your documents into as many folders as you want. You can publish your documents online with one click, as normal-looking web pages, without having to learn anything new. Once you've created a document, you can post it to your blog.